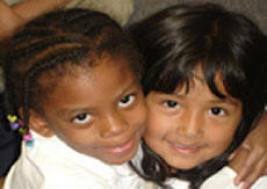 Formed in 1996, Inner City School empowers students living in inner city Denver to be academically successful. Students are exposed to faith-based principles integrated into challenging academic programs. ICS students have learned chess, built robots, and learned a number of exceptional skills. Students learn in small, integrated classrooms that are disciplined and fun. A cross-cultural team of pastors, business men and community members were concerned about the accelerated rate of academic failure and high school dropouts. Growing up in Denver’s inner city, many children lack the resources and role models to succeed in life. Concentrated poverty compounds the problem and makes economic improvement and academic success more unlikely. Currently, 90% of ICS students quality for the federal Free Lunch Program, a current marker of child poverty. Without intervention, these students face discouraging odds. The founders of Inner City School envisioned a faith-based, culturally relevant, academic success program that would allow disadvantaged children to reach their highest potential. Students learn valuable lessons, participate in hands on learning activities, and grow through relevant teaching. Today, Inner City School encourages growth, learning and fun while incorporating Bible teachings and weekly Chapels into the curriculum. Inner City Schools relies on donors to offset the cost of tuition. We actively seek Grants, Scholarships and Private donations. Your generous donation will ensure that our children from low income families are able to receive a quality education.